Set amidst 37 acres of beautiful grounds and gardens in the heart of the Gloucestershire countryside on the edge of the Cotswolds, Hatherley Manor is a magnificent 17th Century manor house. The hotel is ideally located just 4 miles from the Historic Cathedral City of Gloucester and 6 miles from the regency town of Cheltenham Spa. The Spa at Hatherley Manor is inspired by the Cotswolds heritage and is dedicated to natural wellbeing and creating a sense of peace and tranquility. The Spa features a treatment suite, swimming pool with relaxing garden views, vitality pool, thermal suite with experience showers, ice fountain, sauna, steam room, a tepidarium and heated loungers for relaxation. The manor house features luxury accommodation, fine dining and a friendly service, ideal for romantic interludes, business stays and weddings. 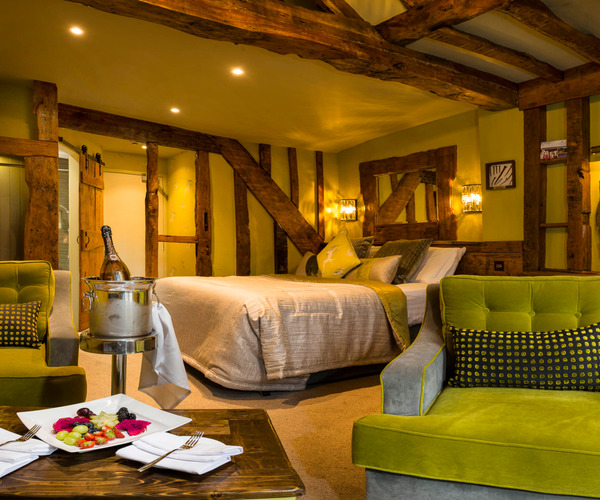 The hotel comprises of 51 impressive ensuite bedrooms including individually styled luxurious upgraded rooms all within the main manor house. The Spa at Hatherley Manor offers a range of delightful Elemis and Made for Life treatments. Each of the treatments are delivered by highly trained, dedicated therapists who focus on your individual needs. The treatment suite has six luxury treatment rooms including a double treatment suite, and a relaxation lounge. The Spa also features a state of the art gymnasium, lounge and cafe area with champagne bar. Guests can also relax in The Spa's very own garden. Elemis offer award-winning luxury anti-ageing skincare and Hatherley Manor are delighted to offer Elemis products in the treatments. Made for Life offers fully certified 100% organic skincare which is lovingly hand-made in Cornwall and the spa are excited to offer their products in their treatments. Treatment Suite with six luxury treatment rooms, Swimming pool with stunning walled garden views as well as a vitality pool, a Tepidarium, Heated Loungers and Experience Showers. 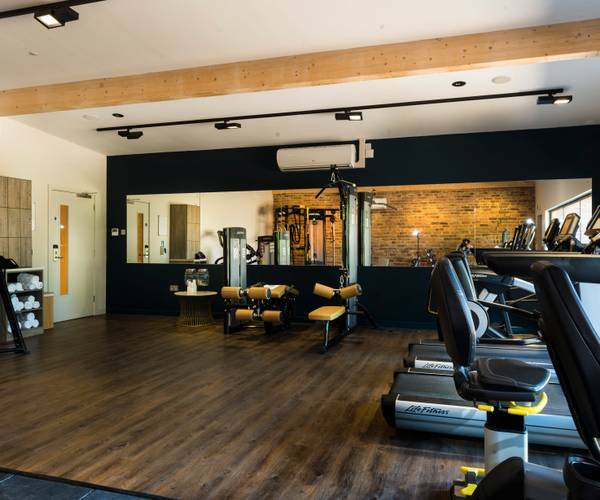 In addition, a state of the art gym comprising of weights and cardio equipment with a window looking out onto the wonderful gardens. Enjoy a delicious meal in the relaxed surroundings of The Dewinton Restaurant, experience excellent service and sample locally sourced dishes in a character setting all under one roof. You can also relax in The Lounge bar at Hatherley Manor Hotel where quality food, drink and service are always available. Whether it be a quick cappuccino, a sandwich or a full, traditional afternoon tea, you're in the right place at Hatherley Manor. (Supper and afternoon tea served in the hotel restaurant area).